Toyota Land Cruiser for sale, this a very rare truck in US, RHD ( right hand drive ) with 5 Spd Manual transmission, powered by diesel engine fitted Authentic Bull Bar with Aux lights, Snorkel all looks great and tough to offroad playground. 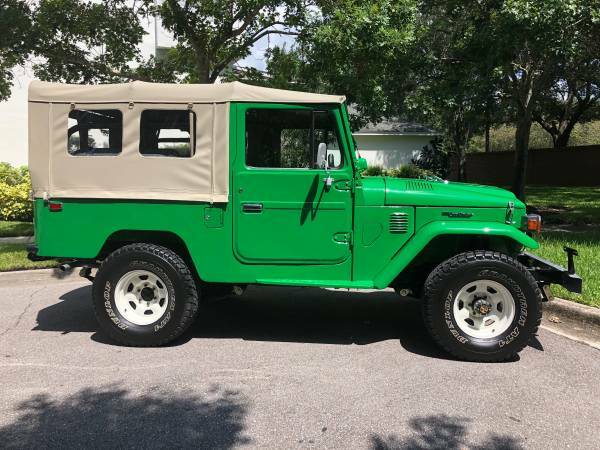 Toyota Land Cruiser for sale, fond this one long wheelbase of the classic Toyota Land Cruiser families, is quite rare than other types like the shorter the FJ40 or other longest type the FJ45 especially in the US. 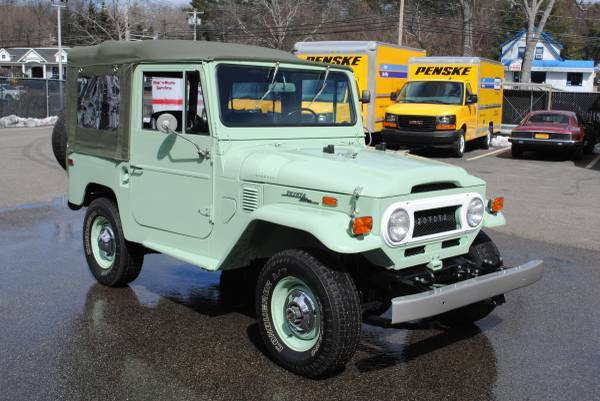 As you see here is a FJ43 was released in 1983 as a soft top model and it has been totally restored in and out also engine rebuilt. All look nice in green with clean and neat a grey soft top also black interior being offered in craigslist about 22 days ago and still online today. 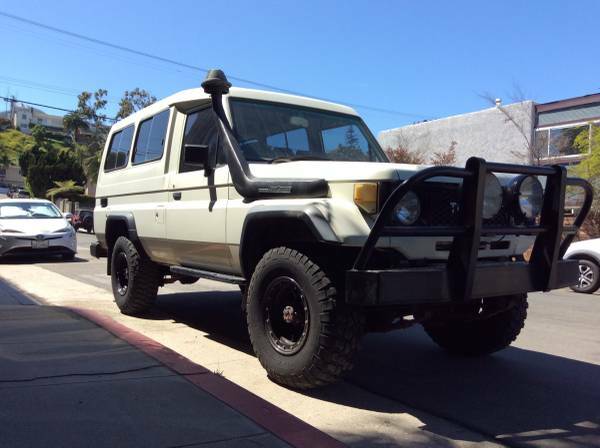 Toyota Land Cruiser for sale, this could be one of the coolest classic Land Cruiser being offered for sale today. As shown here is Toyota Land Cruiser FJ40 soft top model released in 1971 has been totally restored and presented well by photos. All looks perfect and solid body frame in very cool color paint, if you're interested come closer inspection is must to find him in real form. Toyota Land Cruiser for sale, this one rare diesel version of the Land Cruiser lineage it's more unique then the J40 model, sold only in Japan now it ready in here since two years ago. As shown here is 1980 Toyota Land Cruiser BJ41 RHD Diesel still in original condition including its engine, general condition looks nice with 80000 miles reported. Must see if you interested. 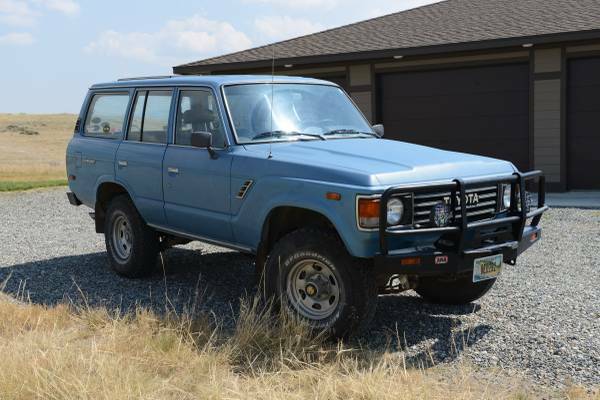 Toyota Land Cruiser for sale, found this one being offered for sale by owner for $10900 located in Sheridan, Montana. 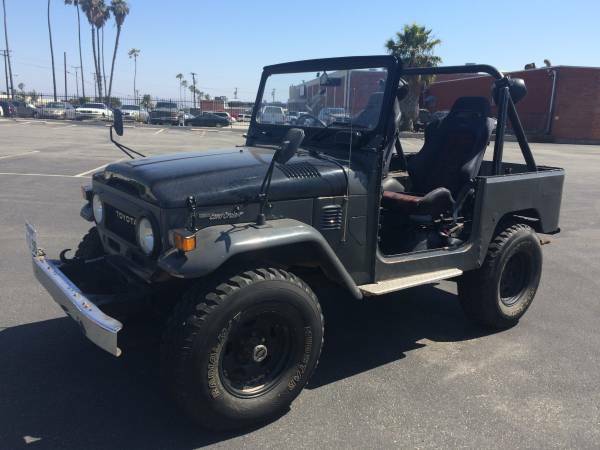 As shown here is 1984 Toyota Land Cruiser FJ60 in good condition with a completely rebuilt engine and swap over to Ford Mustang 289/302 block, if you're interested please read more detail below. 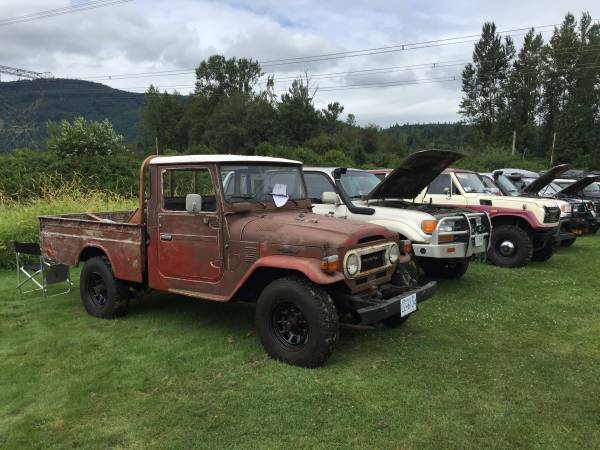 Toyota Land Cruiser for sale, found this one being offered for sale by owner, unrestored 1978 Toyota Land Cruiser FJ45 Pickup Truck never been touched by modification or restoration all still in original condition only 83800 km on it. All looks promising to restored.